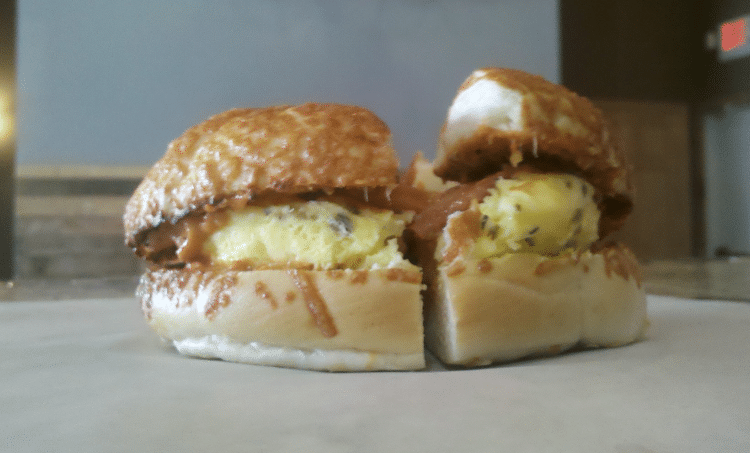 Eggs, green onions, mozzarella, Parmesan, bacon, field greens on a grilled green chile cheddar bun with sriracha mayo. 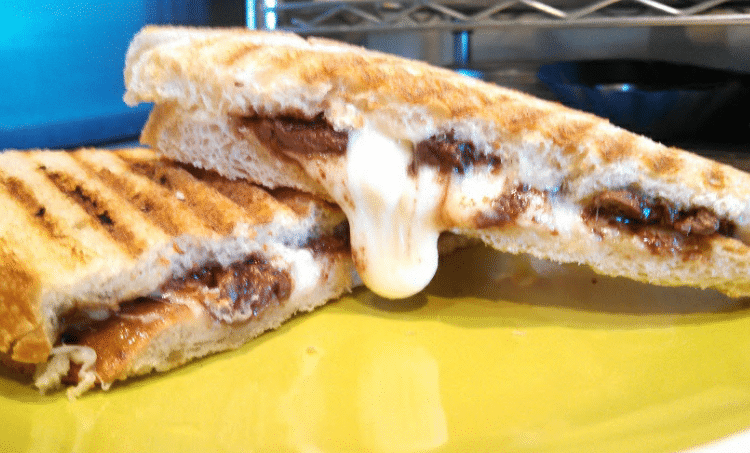 Fresh grilled sourdough bread, melted mozzarella cheese and dark chocolate. 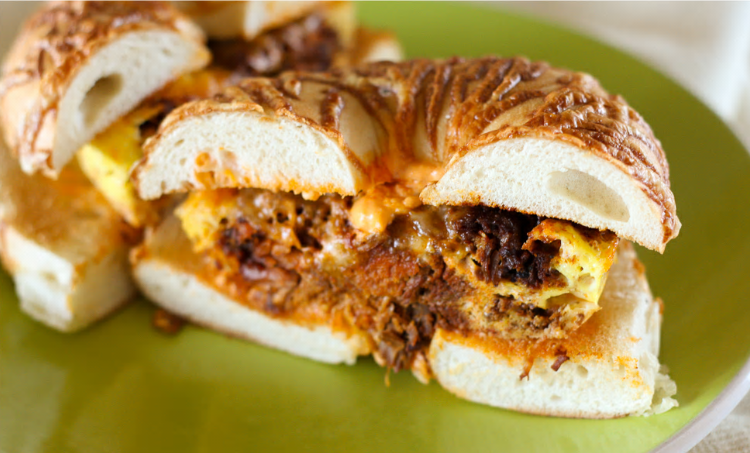 Slow Roasted Red Chili Pork, egg with mozzarella and sun dried tomato cream cheese on a toasted parmesan bagel. 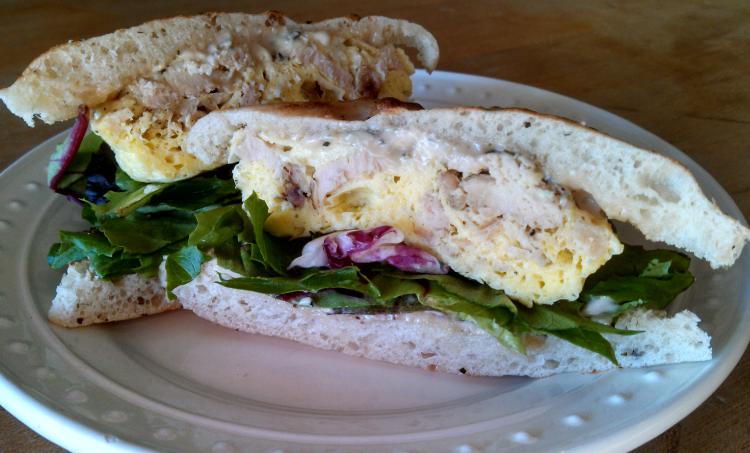 Italian Herb Egg cooked with grilled chicken, mozzarella cheese, field greens and balsamic mayo spread on artisan focaccia. Toasted parmesan bagel, Italian herb egg, melted mozzarella, our signature sun dried tomato cream cheese and lean Canadian bacon. 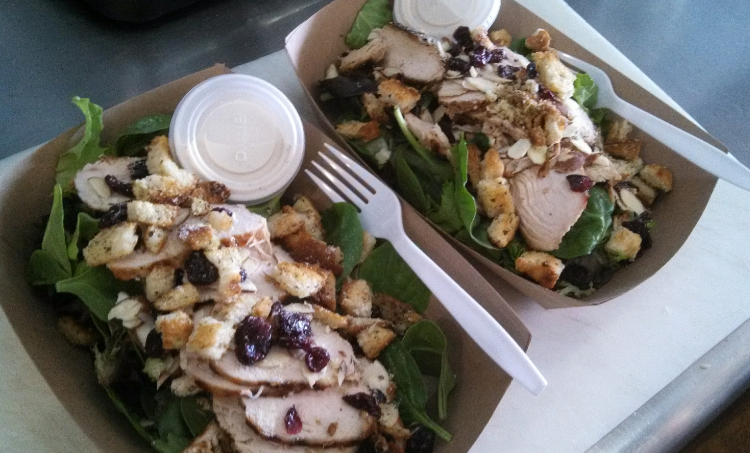 Natural Chicken, dried cranberries, sliced almonds, Parmesan cheese on organic field greens with house made Focaccia croutons. 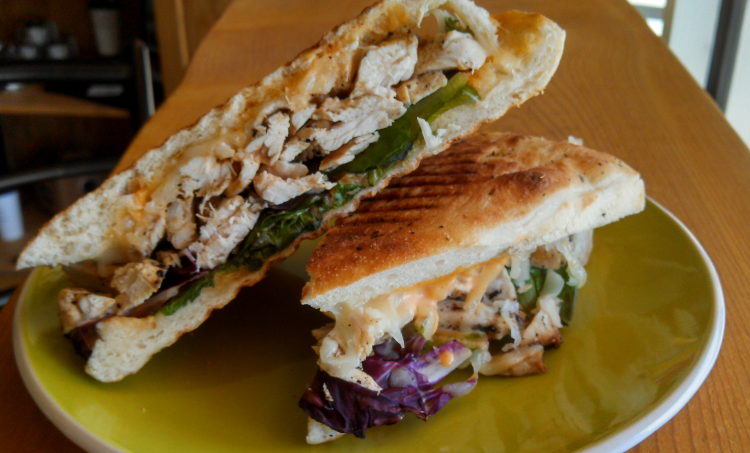 Our Panini of the day is an item that changes, we source the freshest seasonal ingredients and have custom local hand crafted focaccia made for us. We post our fresh sheets daily in our cafe so you can always tell what is being offered. 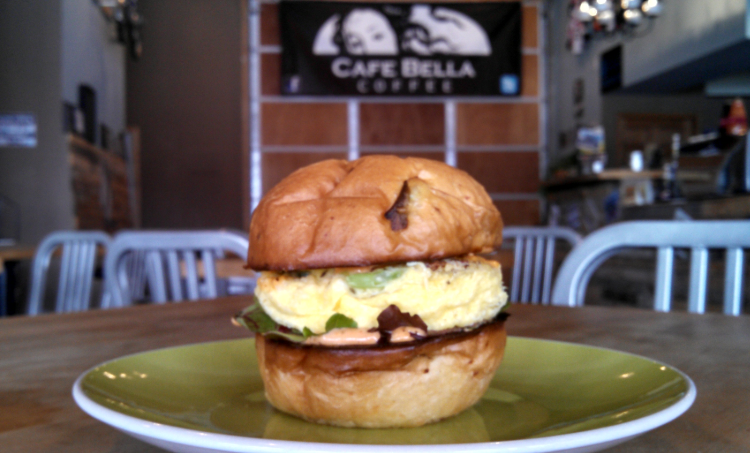 Each Sunday Cafe Bella Coffee opens it’s doors from 9am-2pm. 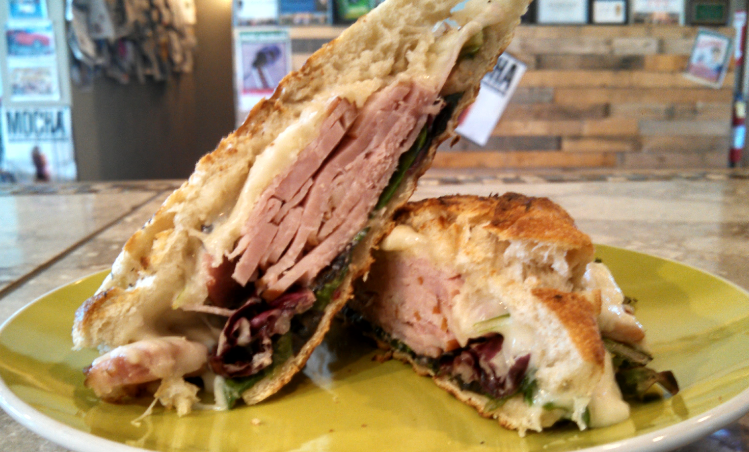 Come, join us for something delicious. We have a Sunday item called the Avocado Toast, Belgian style waffles that we offer in a different flavor each weekend. 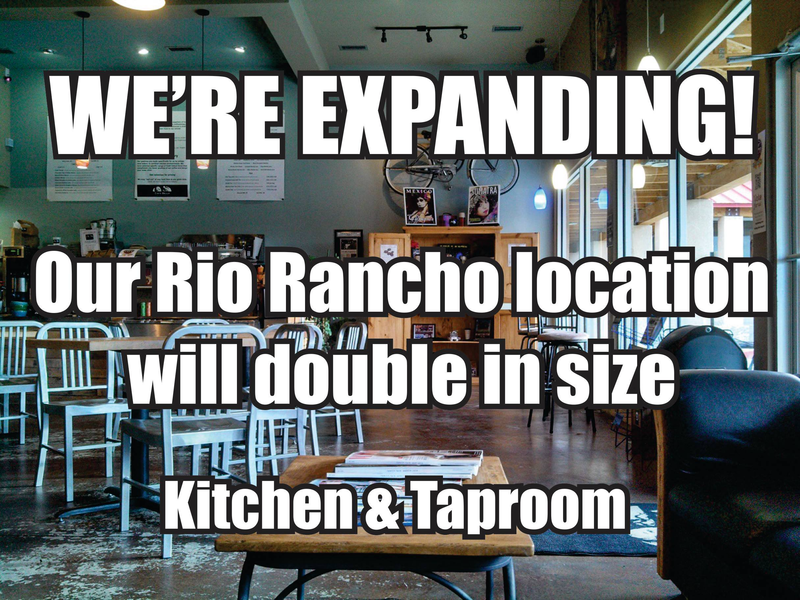 All this and our full food menu & menu! 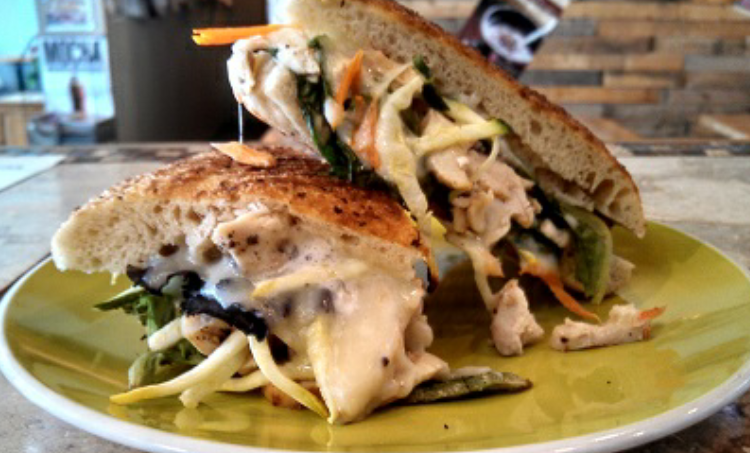 Just for you, because you deserve a neighborhood place to hang out at. 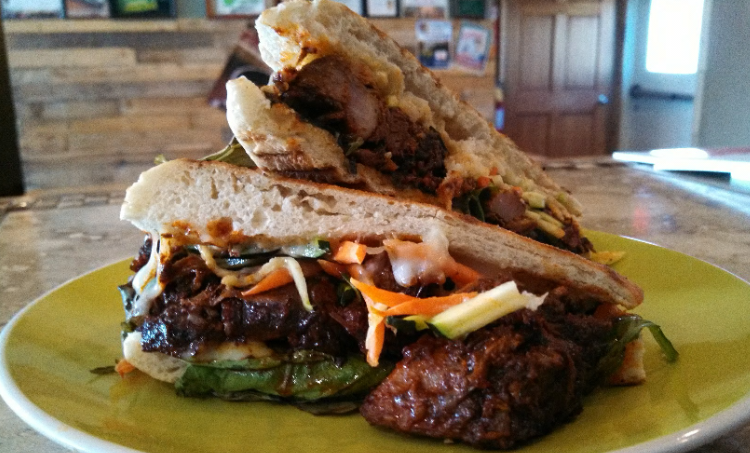 Join us for Street Tacos each Tuesday from 10am-2pm. Our offering is made using White corn tortillas, slow roasted carne adovada, fresh hand cut pineapple salsa, organic field greens and cilantro lime crema! 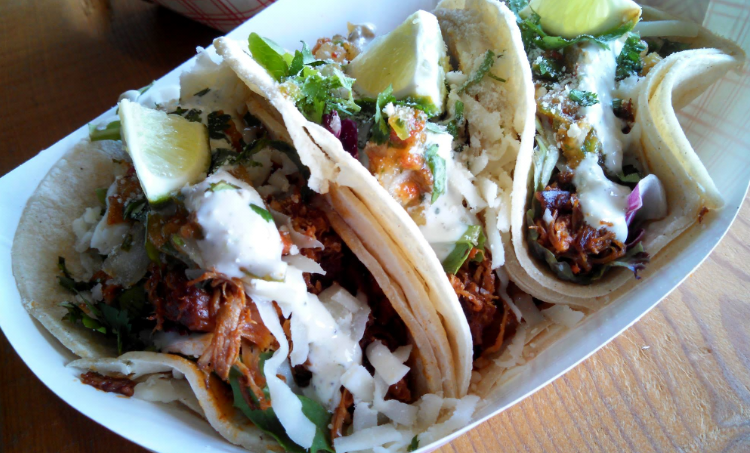 Mmmm spicy like street tacos should be, lined up three per order. Street Tacos are also available for Friday Night Live Music, and Second Saturday Open Mic Night in addition to our full menu. 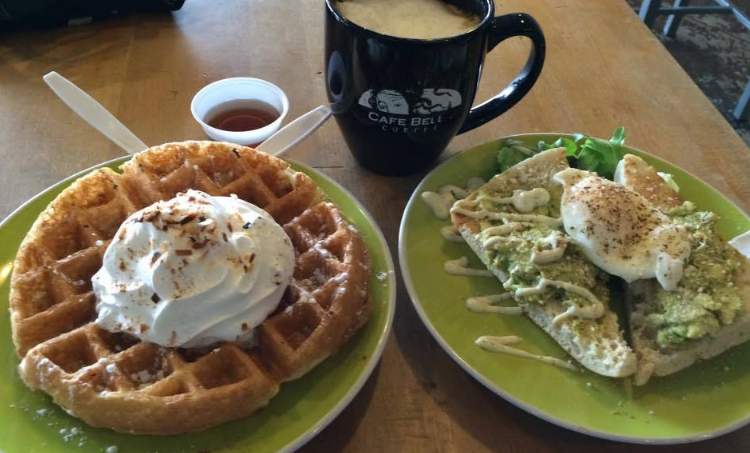 Wake up with Waffles at Cafe Bella Coffee! 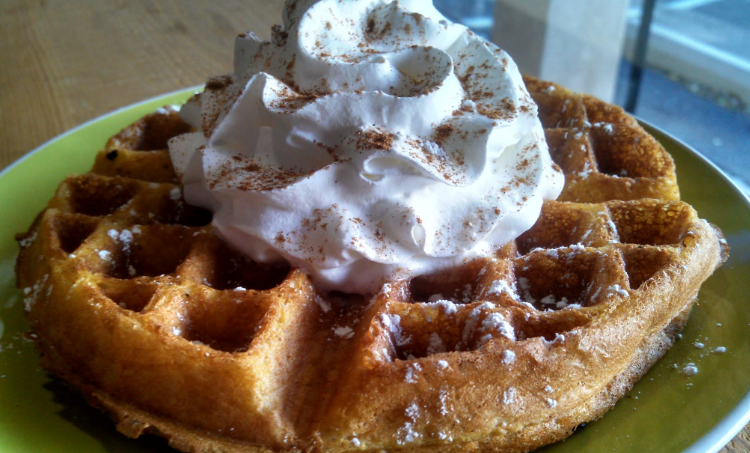 This weekend enjoy a warm Belgian style waffle with whipped cream & powdered sugar!.